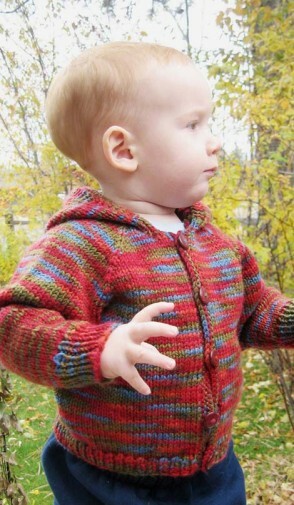 A gift all parents will love, this cardigan is written for worsted weight yarn at 18 sts to 4 inches. 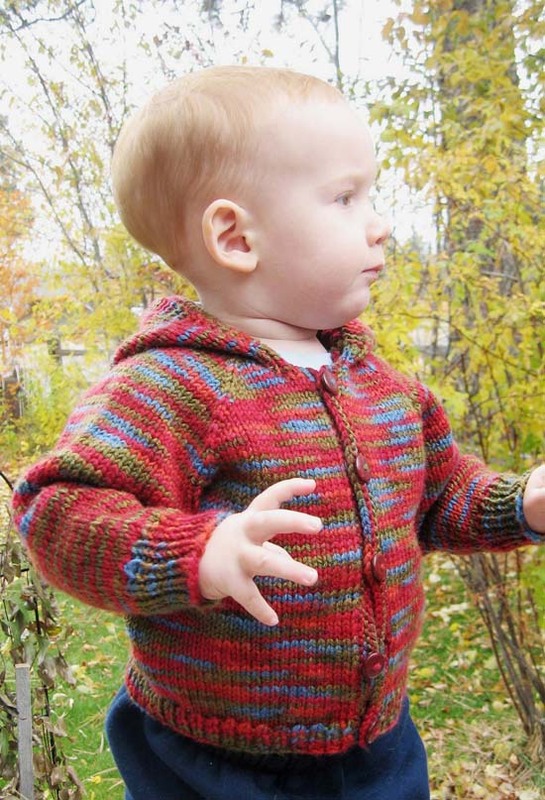 Directions are given for knitting with or without hood. Sizes 6, 12, and 18 months.